As many of you know we donate the money from your purchases of the orchids after they have finished their month as displays in your receptions and offices to charity. 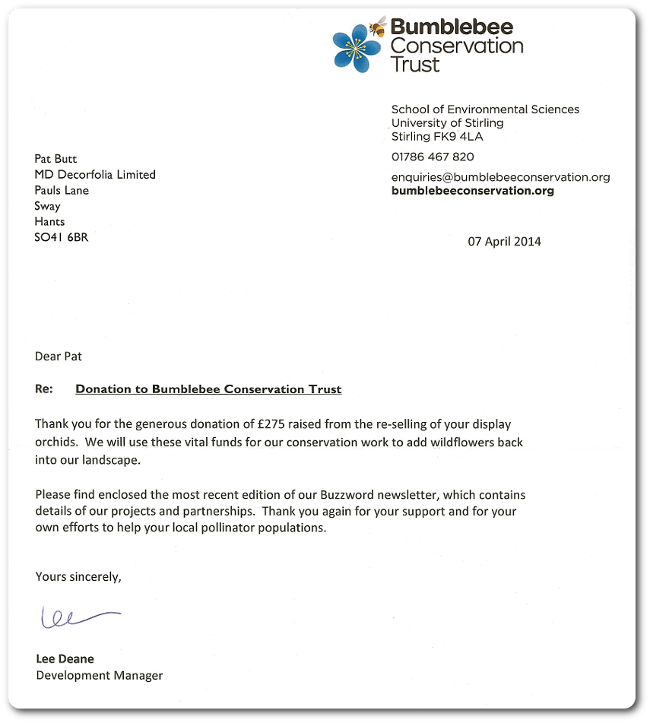 This time we have given that money to the Bumblebee Conservation Trust ... Please see letter below.